Greater Kailash 3 bhk builder floor fully furnished for rent. For rent 3bhk fully furnished builder floor with lift Stilt parking parking for two cars. 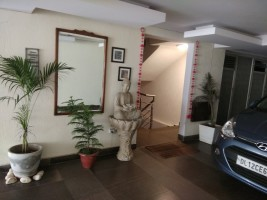 Flat for rent baranagar 3rd floor with the facilitys of aqugard water machine light fan. 1BHK for Rent in Viveknagar Further Extn. 2bhk house available for Lease with 24 hours water and electricity. 1st floor 1BHK & 2BHK House for rent near amritha farmacy college. walkable distance to amritha hospital & Edappally railway station. 24 hours water facility. The house is centrally located in very nice locality.The house is newly constructed and it is furnished with wardrobes.